**Track use only** Forged aluminum center with backmilled spokes. Heat treated rim sections. The 5-Lug version is shown, the E87 is also produced as a center lock application. 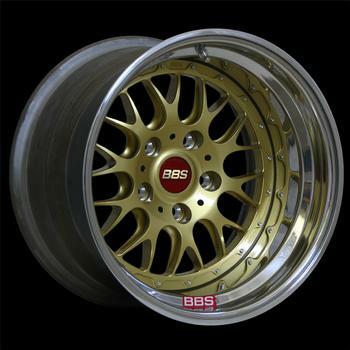 Finish: Wheel centers are avaiable in Gold, Silver, Polished or Gloss Black. Polished outer rim.